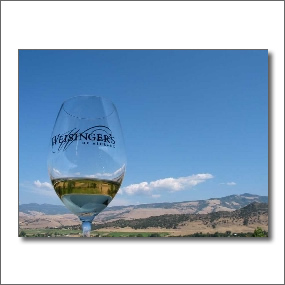 Weisinger's of Ashland Winery is located in southern Oregon's Rogue Valley at the foot of the Siskiyou Mountains - just 14 miles north of the Californian border. Using grapes grown in the ideal mediterranean climate of the Rogue Valley Weisinger's produce excellent quality artisan wines that truly reflect the vision of the founder, John Weisinger. Weisinger's of Ashland Winery offer their warmest invitation to you to visit their tasting room, enjoy the finest of artisan wines with them, and enjoy the unspoilt beauty of the Rogue Valley and all its delights. Plan your visit to Ashland.